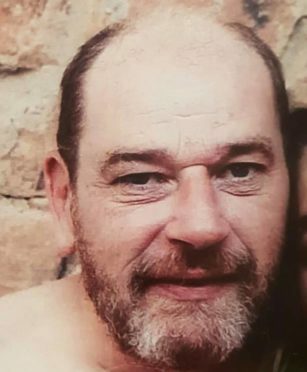 The 47-year-old from Buckie was reported missing to Police on Friday after his family raised concerns they had not seen or heard from him since Christmas Eve. It has been more than three weeks now since Alan Morrison was last seen at his home at Lawson Place. Police inquiries have been ongoing in the vicinity of the area to establish his last movements, with searches also launched in the area by specialist teams focusing on the Burn of Buckie. Detective Inspector Norman Stevenson said: “To help with our searches I’m asking people who live in Buckie to check their gardens, sheds and any outbuildings to make sure that Alan hasn’t taken shelter. He added: “It is extremely concerning that Alan wasn’t in touch with his family over the festive period, in particular Christmas Day, and as more time passes our concerns for him understandably grow. Can you help find this man? Alan is described as being around 5ft 9, of a medium build with short dark and grey receding hair and a beard. He is believed to be wearing black Adidas Samba trainers, a long-sleeved dark T-shirt, a navy padded jacket and could also be wearing a beanie hat and gloves. He is also a heavy smoker.